According to The Art Newspaper, Belgian painter, Luc Tuymans claims that “people are becoming more and more stupid, insanely stupid.” He explores the notion of society’s dwindling intellect in his new major exhibition of work, which has opened in Venice this past month. Matteo De Fina, A picture of the artist, Luc Tuymans. 2019. Taking inspiration from the Italian writer, Curzio Malaparte and his novel on Naples during the Second World War, the show is entitled La Pelle (Skin). Tuymans bridges the gap between the Second World War and modern day society, insisting that “Europe was in chaos, just like today.” It is this chaos that is manifested in the many layers of Tuymans’ exhibition. The exhibition is held in an 18th century palazzo, where visitors are greeted with pearl coloured marble, a sophisticated atmosphere, and perhaps most notably, a large mosaic of pine trees on the floor. This mosaic is based on a painting Tuymans painted outside a German labour camp at Schwarzheide. Matteo De Fina, Schwarzheide, 2019, by Luc Tuymans, installation view at Palazzo Grassi. 2019. Tuymans explores the idea of truth in his works, leaving the viewer to question: is objective truth possible? Does society practice and experience truths as it should? Tuymans uses light colours for his canvases which highlight the theme of faded memory – or at least memories which lie slightly out of one’s focus and recollection. Delfino Sisto Legnani and Marco Cappelletti, The Arena I, II, III, 2014, by Luc Tuymans. 2019. Caroline Bourgeois, a co-curator of the show, claims the artist “does not intend to take the visitor by the hand, he is asking them to make an effort to come closer; a reflection and a physicality instead.” The exhibition thus, is not a commentary on the ignorance of society. The exhibition is an invitation to reflect on the darker moments in history while recognising society’s obligation to objectify truth and right its own wrongs. Tuymans’ exhibition, La Pelle, will take place at Palazzo Grassi in Venice until 6 January 2020. Lloyd-Smith, Harriet. "In Venice, Artist Luc Tuymans Is Going Against the Current." Wallpaper*. April 03, 2019. Accessed April 04, 2019. https://www.wallpaper.com/art/luc-tuymans-palazzo-grassi-venice. Ruiz, Cristina. "Luc Tuymans: 'People Are Becoming More and More Stupid, Insanely Stupid'." The Art Newspaper. March 29, 2019. 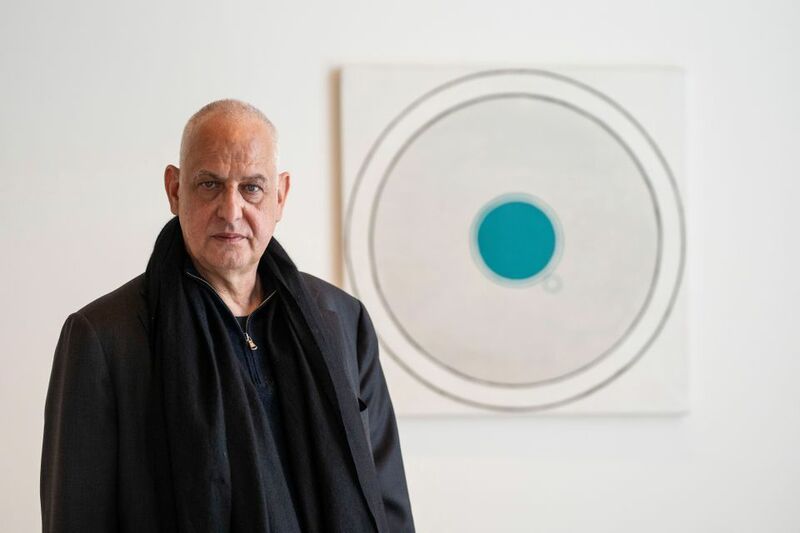 Accessed April 04, 2019. https://www.theartnewspaper.com/interview/luc-tuymans.